Increased confidence means more sales and phone calls. Reviews are indexed by all search engines and our program supports Google Rich Snippets to increase traffic on your website. Display your best reviews right on your website. Worried about getting a bad review? No problem! We can set the program to only display 4 or 5 star reviews. Embed reviews right into your site. New reviews automatically update. 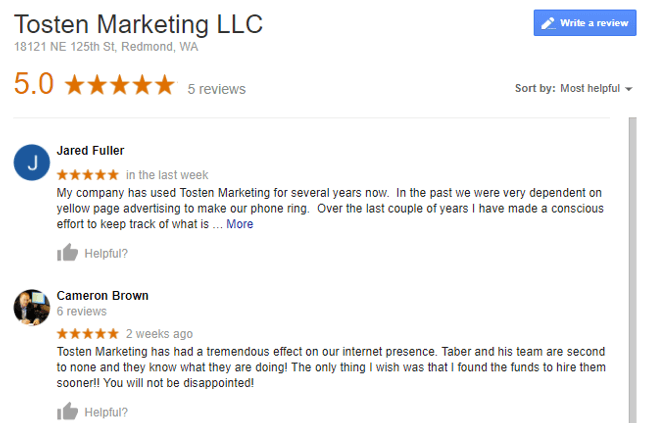 Link your website directly to your reviews page.